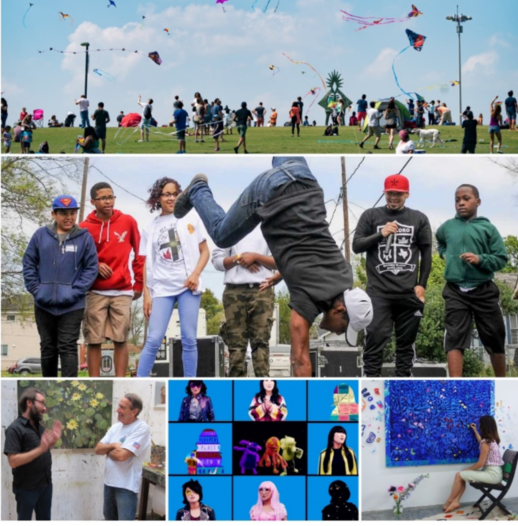 January 25, 2019 -- The Mayor’s Office of Cultural Affairs (MOCA) announced today the next milestone in the fulfillment of its Arts & Cultural Plan with grants totaling $1,631,698 to 109 artists and 32 arts and cultural nonprofits for public exhibitions, performances and festivals in 2019. Selection panelists were Nic Allen, Rabéa Ballin, Jonathan Beitler, Byron Canady, Leslie Contreras Schwartz, Eric Dano, Laura Gutierrez, Harrison Guy, Emilie Harris, Vinod Hopson, Felicia Johnson, Mariam Khalili, Marian Luntz, Lavanya Rajagopalan, Emily Robinson, Grace Rodriguez, Kaneem Smith, Benito Vasquez, Christopher Vu and Jessica Wiggins. The City thanks each for their role in the grant process. Houstonians and visitors can find a multitude of offerings produced by the grantees on the Cultural Events Calendar, which provides programs details and more. Several activities are discounted or free. Congratulations to all award recipients! Thank you for your dedication and contributions to the expansive arts and cultural landscape of Houston. November 2018 Let Creativity Happen! 11th Indian Film Festival of Houston Presented by Indian Film Festival of Houston, Inc.
To learn more about the City’s cultural programs visit https://www.houstontx.gov/culturalaffairs/index.html and follow the Mayor’s Office of Cultural Affairs on Facebook @HoustonMOCA.